Find out the effectiveness of the services we provide to you. There are numerous studies, research articles and journals listed below for you to explore. The effects of the right diet and nutritional plan has a profound impact on healing cancer. Functional foods, nutritiously dense and effective combinations of various superfoods, can help in detoxification of toxins, strengthen the digestive system, increase absorption of nutrition, all resulting in a stronger immune system, better management of side effects of treatment and increasing the effectiveness or treatment and healing. 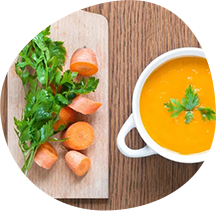 A personalised dietary protocol that fits alongside mainstream treatment and post treatment, is one of the most essential steps that you can take in healing your cancer. CARER Program takes its nutrition protocol very seriously. Your nutritionist will work towards strengthening and building your immunity to optimal health. Here are some links of research studies and published articles that prove the effects of nutrition on cancer. 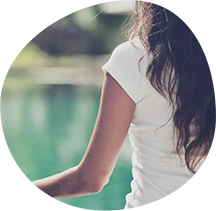 Mindful meditation is known to have a positive emotional and psychological impact on cancer patients and survivors who are going through treatment and post treatment. Ground breaking research has found that meditation is also creating physiological benefits to the those with cancer. Lead researcher of the Tom Baker cancer centre at Albert Health Services, Dr Linda Carlson says, “We already know that psychosocial interventions like mindfulness meditation will help you feel better mentally but now for the first time we have evidence that they can also influence key aspects of your biology.” CARER Program introduces you to various meditations that are relaxing, peaceful, calm and healing for your recovery. Download document for more information and click on links for research studies and published articles that prove the effects of meditation on cancer. 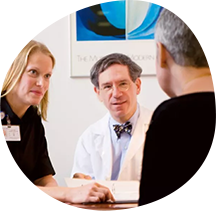 Counselling can help recovering cancer patients in multiple ways. The inevitable mental disturbances that arise during and after cancer are natural but need to be dealt with in the right manner. Seeking professional help enables you to use proven tools and methods in dealing with these issues. Therefore, the CARER Program found it essential to introduce you to the concept of counselling and coaching. Click on the links for research studies and published articles that prove the effects of meditation on cancer. There are numerous studies that prove the efficacy of yoga with healing cancer. Yoga is a mind-body practice that builds strength and flexibility along with managing the mind. For more information, download the document to your right. The CARER Program very strongly advocates movement therapy in the form of yoga to enable patients to heal physically as well. Click on the links for research studies and published articles that prove the effects of yoga on cancer.